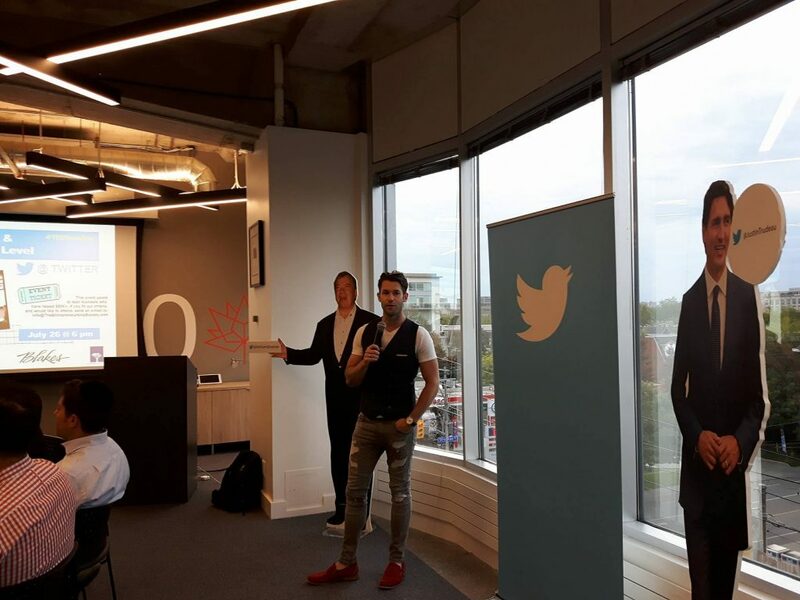 Walking into the room at The Entrepreneurship Society’s Toronto event on scaling, I got the distinct feeling that no one in the room was a beginner. Knowing that, and suddenly feeling just a tad inadequate in my own business-building career to-date, I settled in for the panel: a conversation featuring a VC and two founders, moderated by Kevin Callahan, head of business development for Twitter Canada. The panel, thankfully, was not an experience in being talked-at. Rather, skillful moderation by Callahan brought the audience into the conversation without it feeling like a Q&A, ensuring folks engaged actively with KJ Singh, investor in Meta (acquired by the Zuckerberg Chan Initiative); Alex Kottoor, CEO of Scenedoc; and Jonah Midanik, CEO of Limelight. The audience, successful entrepreneurs in their own right, engaged with and learned from folks on the panel who are either adjacent to them, in Singh’s case as an investor, or slightly further ahead on the same path, in Kottoor and Midanik’s case as successful founders. The advice was practical, focusing in on the need for fundraising, scaling business process, and employee retention. “Fundraising is a full-time job,” said Singh, talking about how a founder should always be on the lookout for potential fundraising options. Far from saying a founder needs to forsake their business to chase investor money, Singh talked about the need to develop relationships over time. Now, this is not a license to bug every investor in Canada asking for coffee. Relationship building needs to be both relevant for the investor and delicately handled. Midanik recommends circling an investor, gaining the trust of their inner circle and then asking for an introduction. This will not only help you make sure that your conversation is tailored – Midanik’s biggest advice for fundraising is to never approach a VC without knowing how they see the world – it also helps your own brand because you are more likely to get high-quality introductions to VCs who know your space. “We wasted so much time trying to meet with investors who didn’t understand our space, when in reality there were probably 50 people that were viable potential investors,” he recalled of his journey building up his first business. This blunder, Midanik says, ultimately cost him in the end when he sought to leave his first business. While a founder should be focusing on nurturing soft relationships with investors at all times, another necessary focus for a startup-turned-scaleup is around developing your process. “There is a huge need for talent, and it’s difficult to forecast those needs when you’re scaling quickly. This is where processes come into play,” noted Midanik. Commenting on how intertwined talent and process are — something that scale-ups can often forget if they are still focused on the ‘hustle’ — Midanik told a story where he was sitting in a room with eight people, seven of whom had been at the company for less than six months. He needed a way to make those seven new people successful as soon as possible without the benefit of years of business context. Process can help you onboard new hires by giving them referenceable documents on things like company policies, decision-making systems, and general do’s and don’t’s for your organization. By empowering those smart folks you hire to make decisions without 100 percent founder involvement, you begin to scale your own abilities. Every company has a different challenge set, and Singh added that “it’s not always possible to take what works in company A and double-down on that process for company B.” However, it’s important to look at what works and see how it might benefit other organizations. This, says Singh, is where a founder-focused investor can be really helpful, bringing smart ideas on process from their other portfolio companies into the room. As it turns out, process is also directly linked to culture, a crucial element for talent retention. “I used to think culture was the whole team going out for a steak dinner to celebrate a big win, and back in the day when there was only eight people, this and other perks was our ‘culture’ for a time,” started Midanik. Kottoor added his perspective, saying that even in a hyper-competitive talent market, companies must prioritize fit. “Team dynamic is critical. People must be able to hum along and get work done,” he said. The panel didn’t touch on how diversity of thought might affect a team dynamic that prioritizes ‘fitting in,’ but the entire panel advocated for open communication lines and making sure that all employees feel comfortable bringing up problems. “In a good organization, bad news travels fast because there is no punishment for bringing it up and you can work through it together,” said Midanik. Even with good process in place, culture is also the autonomy your people have. People need to have choice and control over their career, a lesson Midanik took to heart and solved rather creatively. “We involve people in hiring their own managers, so they have visibility into who will be leading them. We also have a company policy of ‘Work From Home Wednesday,’ so no one has to commute into the office more than two days in a row if they don’t want to,” he explained.